É com imensa satisfação que apresento para voces este trabalho mostrando por meio de fotos o início da mestiçagem do Fila com cães de outras Raças. Este trabalho foi por mim elaborado na segunda metade da década de 1.970. Nele voces poderão ver as mesmas fotos que eu inicialmente mostrava para Eugênio Henrique Pereira de Lucena, ex-presidente do BKC e, depois, ex-Superintendente do CBKC, alertando-o sobre as terríveis consequências desta mestiçagem. Mas, em minha opinião, o Presidente Lucena estava mais interessado com o aumento da emissão de pedigrees e o consequente aumento do seu faturamento. O Fila e os “filas-mestiços” viraram moda e, infelizmente, do ponto de vista comercial, foi um grande sucesso. Durante 21 anos foi uma das Raças que mais registrou filhotes no BKC-CBKC, tendo sido a primeira de 1977 até 1.982. Ficou em segundo lugar até 1.985. Em 1.982 registrou 8.000 cães !!! E permaneceu sempre entre as 10 raças que mais registravam filhotes até 1996. Numa verdadeira campanha contra a mestiçagem que quase levou o Fila Puro à extinção, eu mostrava estas fotos alertando diversos criadores e jornalistas. No inicio de 1.976 mostrei-as ao Dr. Paulo Santos Cruz, ajudando a convencê-lo a voltar à Cinofilia, ao Fila e a consequente fundação do CAFIB juntamente com Airton Campbell, Amercio Cardoso e Luiz Antonio Maciel. Mas apresentamos também a grande solução para a mestiçagem que ainda hoje existe: a criação da Raça Mastin Brasileiro, da mesma forma que a FCI teve interesse e coragem em solucionar o problema da mestiçagem que havia na Raça Akita. Grande abraço para todos voces, Chico Peltier. PURE FILAS WITH OTHER BREEDS OF DOGS. 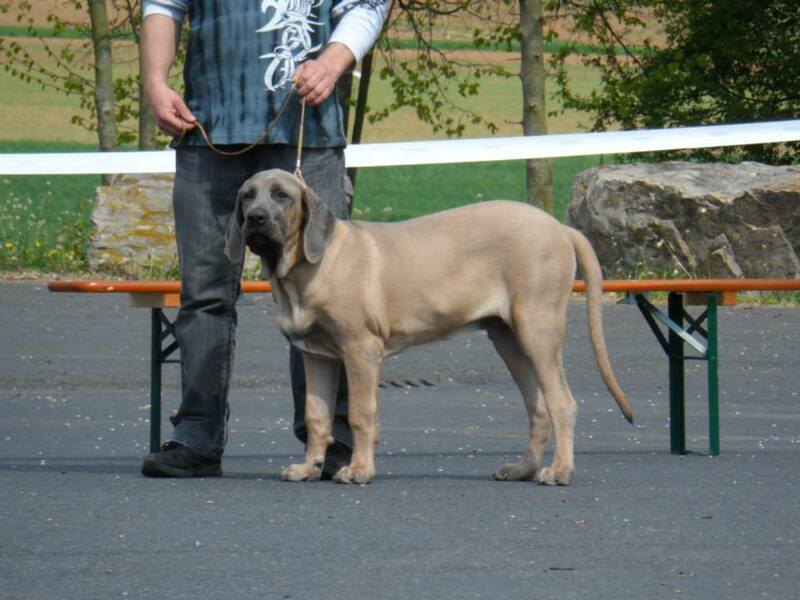 It is with great pleasure that I introduce to you this work by showing photos of the early mix-breeding (miscegenation) of Fila Brasileiro with dogs of other breeds. This work was prepared by me in the second half of the decade of 1970. In it you can see the same photos that I originally showed to Eugenio Henrique Pereira de Lucena, former president of BKC and then former Superintendent of CBKC, warning him of the dire consequences of miscegenation. But, in my opinion, President Lucena was more interested with the increased issuance of pedigrees and the consequent increase of its turnover. The Fila Brasileiro and “filas-mestizos” became fashionable, and unfortunately, in the commercial point of view, was a great success. 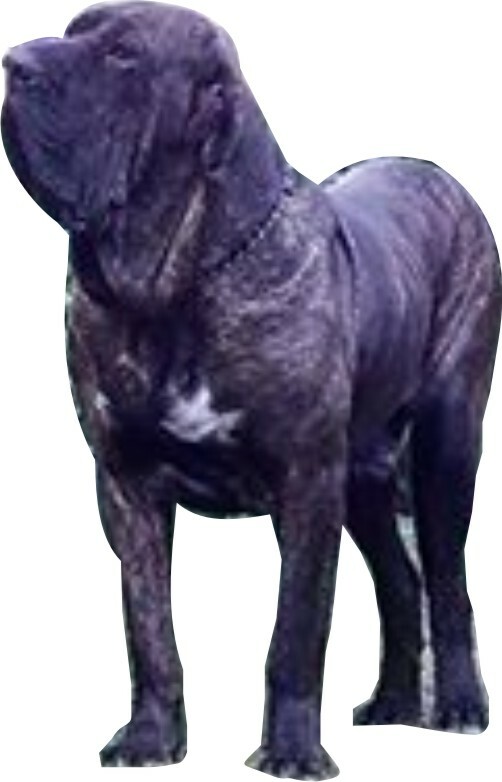 For 21 years Fila was one of the breeds that most puppies registered in BKC-CBKC, being the first from 1977 to 1982. Took second place until 1985. 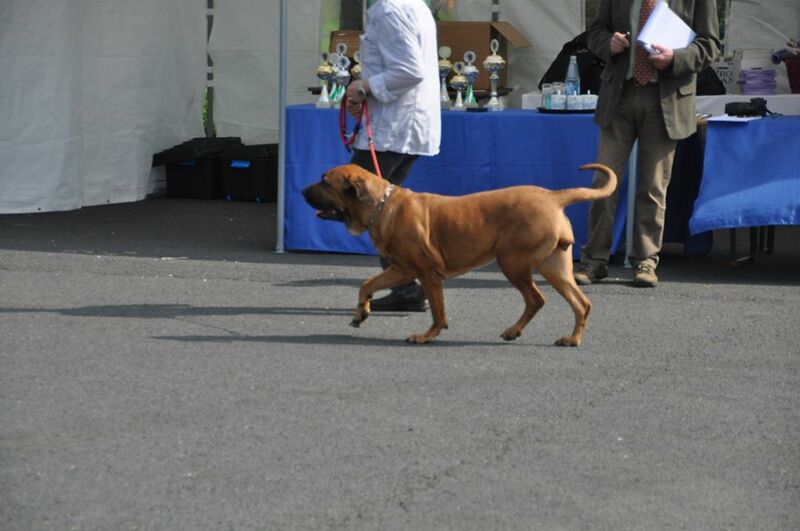 In 1,982 registered 8000 dogs! 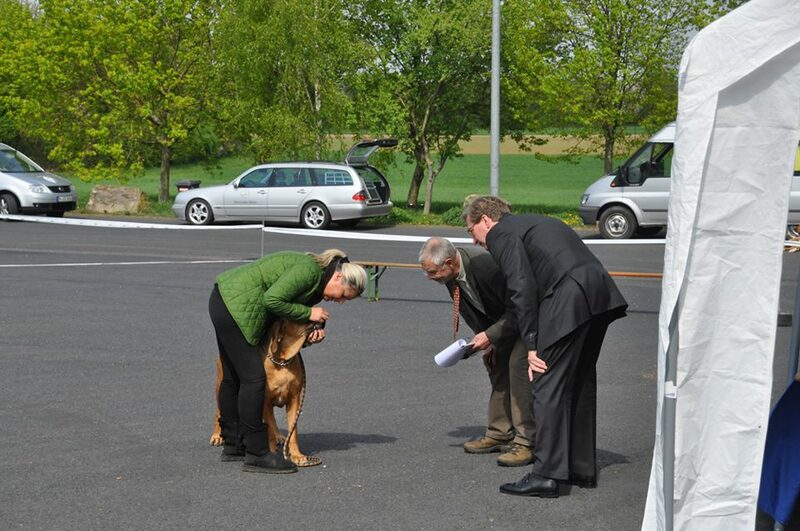 And always remained among the 10 breeds that most pups recorded until 1996. In a real campaign against miscegenation that almost led the Pure Fila to extinction, I showed these pictures to many breeders and journalists. In the beginning of 1976 I showed this photos to Dr. Paulo Santos Cruz, helping to convince him to return to Cynophilia (dog-breeding and dog-fancying), the Fila and the consequent foundation of CAFIB, together with Airton Campbell, Amercio Cardoso e Luiz Antonio Maciel. 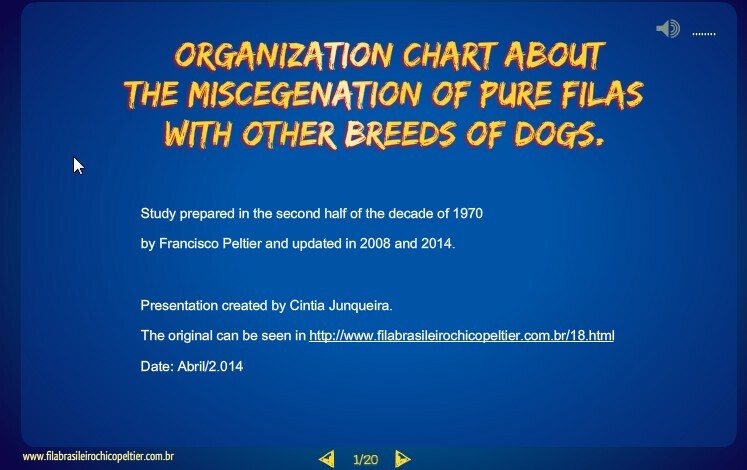 But we also present the great solution for Fila miscegenation that still exists today: the organization of Mastim Brasileiro Breed, the same way that the FCI had interest and courage to solve the problem of miscegenation that was in the Akita breed. 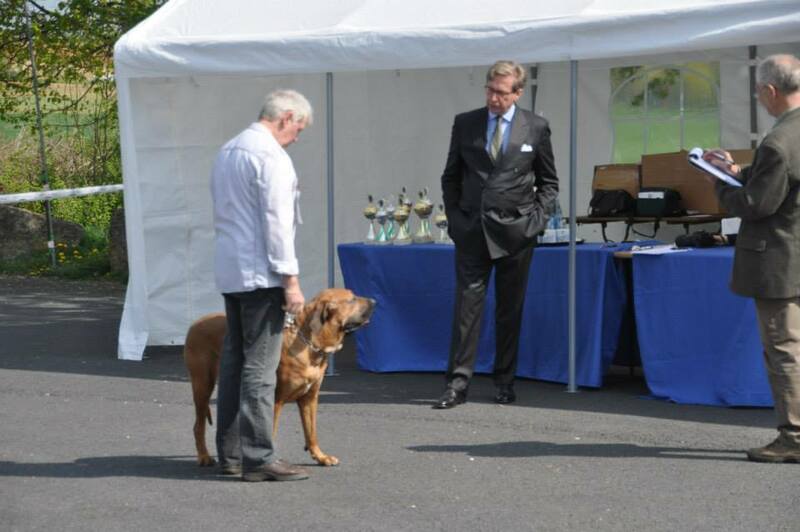 We are very happy to report that our dear and old friend, Christofer Habig, returned to judge the Fila Brasileiro. 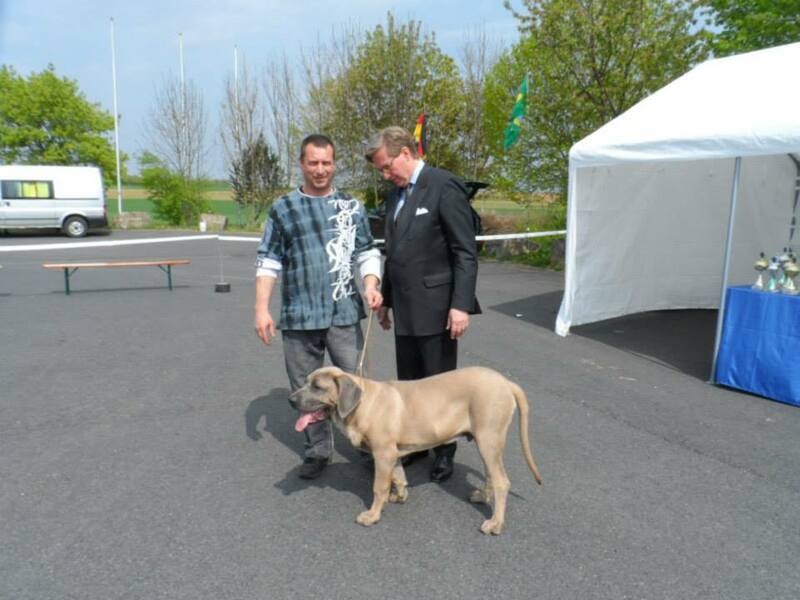 This occurred in the last April 12, in the German city of Gollhofen and was organized by Club der Freunde der Fila Brasileiroin that country. For those who do not remember, Chris has been an important partner of Pure Fila and CAFIB against miscegenation from 1,979 when a CAFIB trophy was handed in a Fila Expo held in the German city of Essen to 1,984 when Chris invited, received and paid tribute to Dr. Paulo Santos Cruz on his trip to Germany where the Father of the Fila held a symposium and judged a Fila Expo following the CAFIB Standard. Maybe in the near future CAFIB, that performs Fila Expos in Spain, Czech Republic and USA, there will also hold a Fila Expo in Germany, which was the first country to receive a Fila exported from Brazil? Welcome Chris to the Fila !!! É com muita alegria que informo que nosso querido e antigo amigo, Christofer Habig, voltou a julgar cães da Raça Fila Brasileiro. 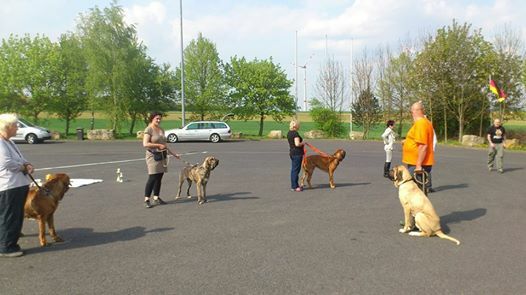 Este fato ocorreu no ultimo dia 12 de Abril, na cidade alemã de Gollhofen e foi organizada pelo Club der Freunde der Fila Brasileiro daquele país. Para os que não se lembram, Chris foi um importante parceiro do Fila Puro e do CAFIB contra a mestiçagem desde 1.979 quando foi entregue um troféu do CAFIB na Expo de Filas realizada na cidade alemã de Essen até 1.984 quando convidou, recebeu e homenageou o Dr. Paulo Santos Cruz em sua viagem para a Alemanha onde o Pai do Fila realizou um simpósio e julgou uma Expo de Filas, seguindo o Padrão CAFIB. Quem sabe num futuro próximo o CAFIB, além de realizar Expos na Espanha, Republica Tcheca e USA, não realizará também uma Expo na Alemanha, que foi primeiro país a receber um Fila exportado do Brasil? Bem vindo Chris ao Fila !!! 219. Uncle Chico, recently I read in a Facebook post that one person advocated the selection of the so-called “black fila” and also stating that the existence of this color would be “… recorded in photographs and documents from the beginning of the origin of the Fila”. What do you think about this statement? However, I would ask that you get in touch with the author of this post and ask him to make available to everybody in the same Facebook these “photos and documents” on the “black-fila” that he claims to know or possess. Frankly, I think this gentleman do not deserve to keep just for himself such so interesting documentation… Why he did not discloses and makes pubic these so “rare and historical treasure“…? I’m sure if he is a serious person, he will post your requestimmediately. After all, in 40 years dedicated to Fila, I have never seen one “photo or document” proving the existence of black dogs in the Fila Breed. 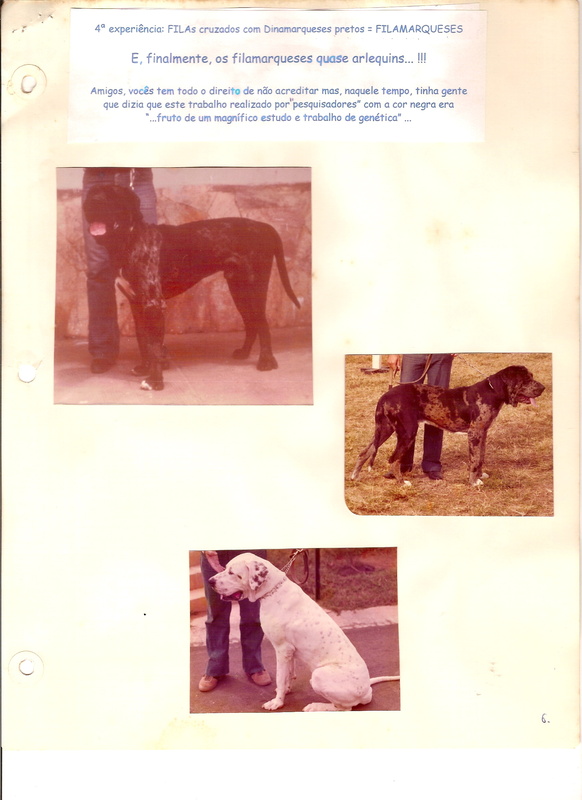 Until now I only saw a picture used by Procópio do Vale, also known as the “Father of Black Fila“, for being the “inventor” of dogs with this coloration with “fila” pedigree issued by BKC-FCI. This picture was from a dog named Zulu. However my dear Procópio do Vale forgot to read what was written on the back of this photo … If he’d read, he’d know that was written: “mestizo of several breeds“. And who wrote this statement? None other than the owner of Zulu !!! That’s right: this observation was written in his own hand by none other than the very famous Fila breeders named Frederick William Chalmers, founder and owner of the famous Canil Jaguara, Minas Gerais. You want to see this photo? 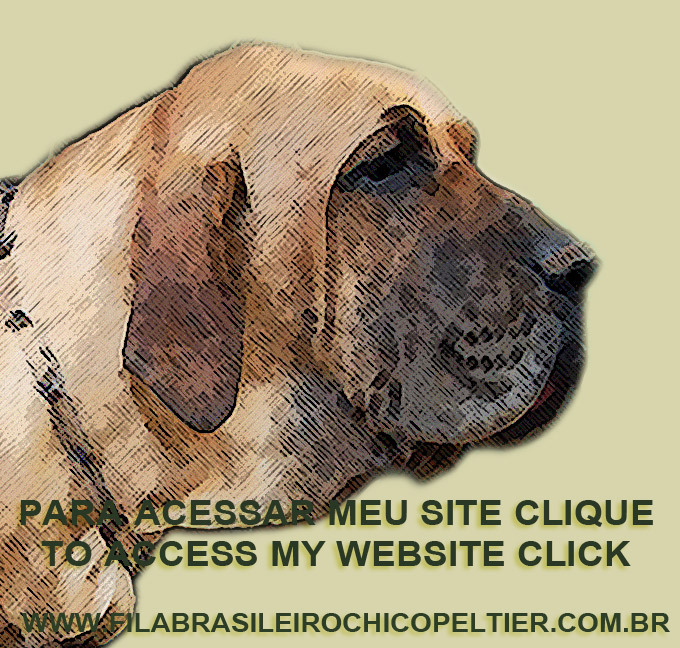 Just click on http://www.filabrasileirochicopeltier.com.br/fila-brasileiro/filastresstestpage03.jpg to see such a “big mestizo” !! !In such link my comments are in both in Portuguese and English. Until today I have never seen any documents proving the existence of the “black-fila”. But I inform you that I read in Animal and Veterinary Magazine # 35 (http://www.filabrasileirochicopeltier.com.br/8-Documentos-de-1978/8_32/doc_1.jpg ) a text that was sent to this magazine also by Procópio do Vale, the Father of Black Fila. 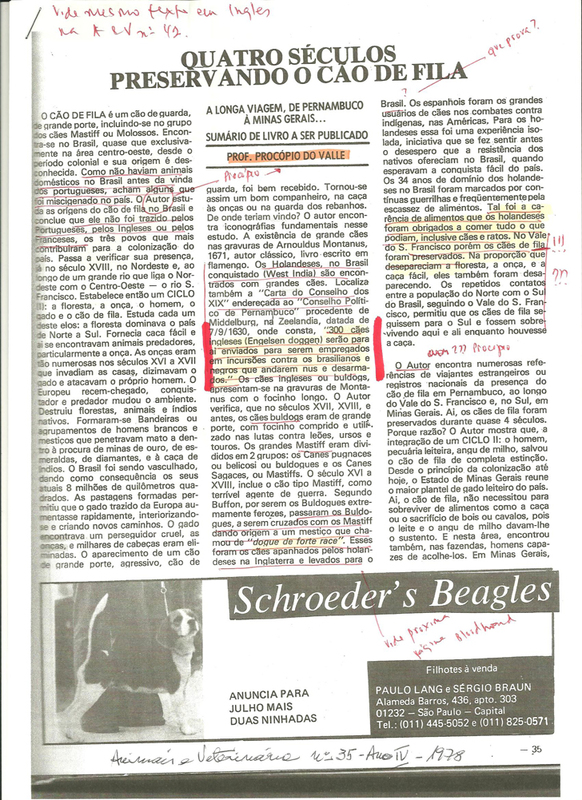 But the material that was sent for Procópio do Vale to this magazine was not the original text (photo copy) or had information about its origin. Was just a typescript that was published. Soon, I cannot vouch for the authenticity of this text, which several times I ask a copy of the original by Procópio do Vale, but he never sent me. 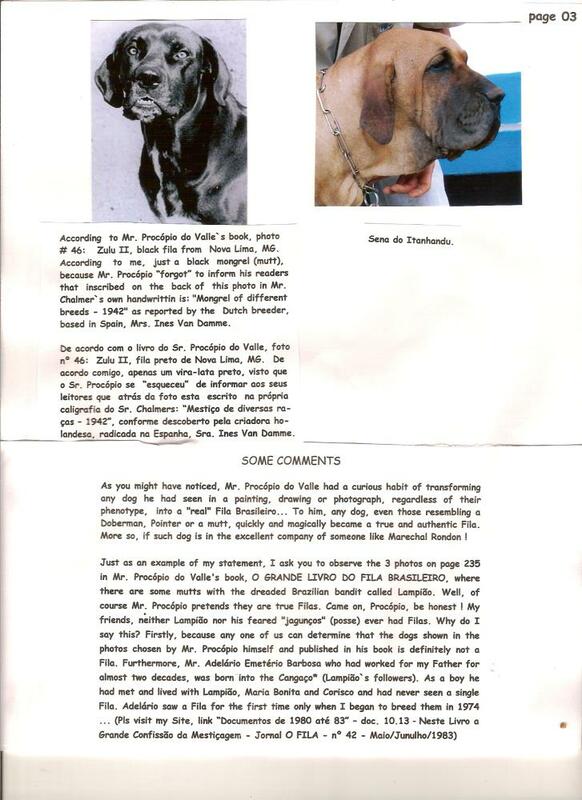 But interestingly, as the picture above, the information espoused by Procópio do Vale do not hold up, since such a “Letter from the Dutch”, if it really existed as stated by Procópio do Vale, has never been publicly displayed, but we can find just written that: “300 English dogs will be sent to there“. 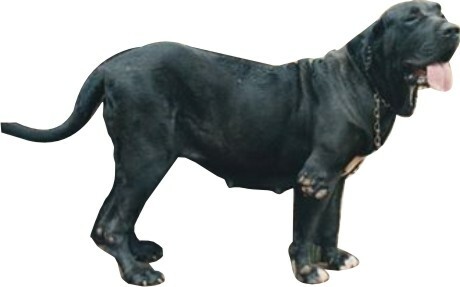 The proven fact is that in the southern state of Minas Gerais, which was the site of the birthplace origin of the Fila Brasileiro, no knowledge of any “black-fila” exist, as can be learned in the exceptional book written by journalist Paul Godinho titled “Fila Brasileiro: a gift from the stars ” (HTTP://blogdopaulogodinho.blogspot.com ) sponsored by CBKC. Rather, the forerunners in the Fila breeding of this region deny the existence of this color, as well as UNIFILA (see in English clicking https://filabrasileirochicopeltierblog.wordpress.com/2012/08/30/post-35-ask-uncle-chico-17-unifila-and-the-black-fila-sent-aug-30th-2012/ ) , a serious club from Fila breeders based in Minas Gerais. Alias, as Paulo Godinho wrote in his book on page 368: “Nothing is more mix-breed (mestizo) than a black Fila, and even as years went by (My note: and see that were 40 years !!!) 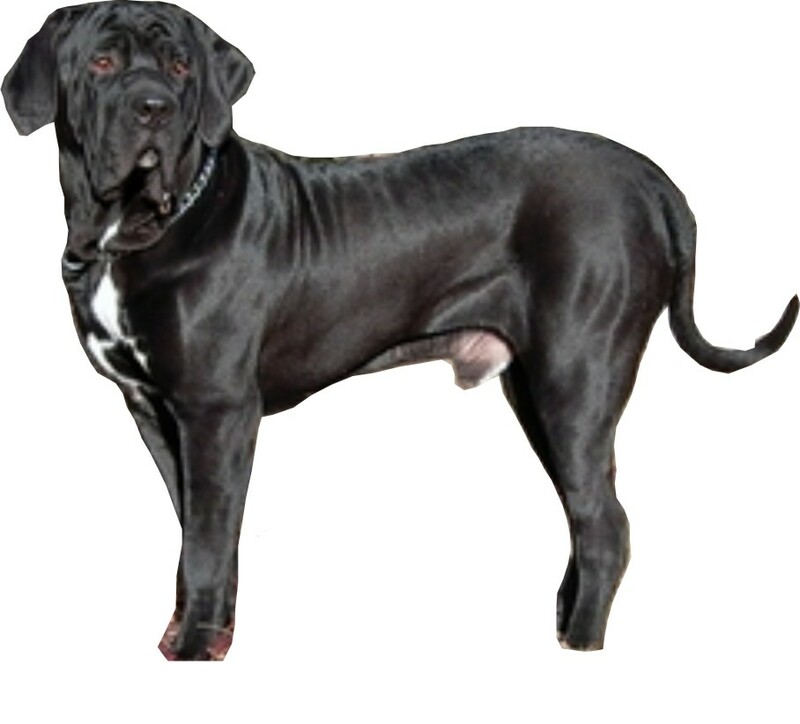 and successive crosses with animals of other colors could give black dogs-typing at least acceptable so we could call them Filas Brasileiros”. (see many other details of this book also in English by clicking https://filabrasileirochicopeltierblog.wordpress.com/2013/12/15/post-no-144-uncle-chico-newsletter-55-paulo-godinho-thank-you-for-your-certificate-of-veracity-general-report-on-book-fb-a-gift-from-the-stars/ ). 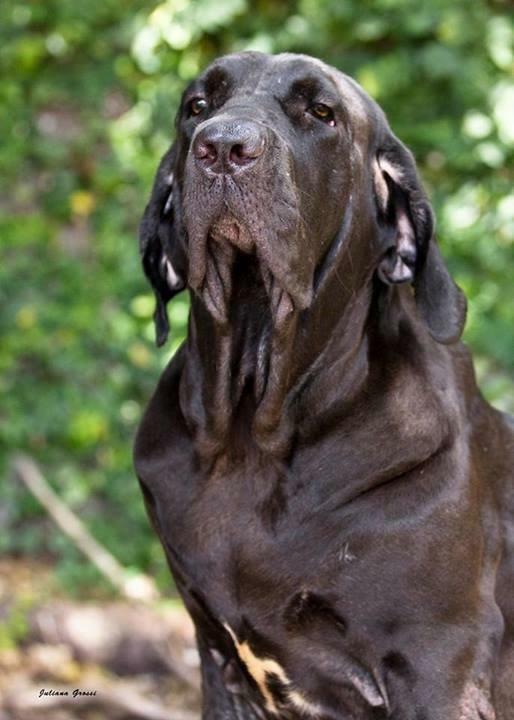 So I kindly suggest you ask this gentleman to, in addition to providing for all of us in this same Facebook photos and documents that would prove the existence of black color from the beginning of the formation of Fila, he strives hard and engages further select black dogs that have Fila pedigree from CBKC-FCI. 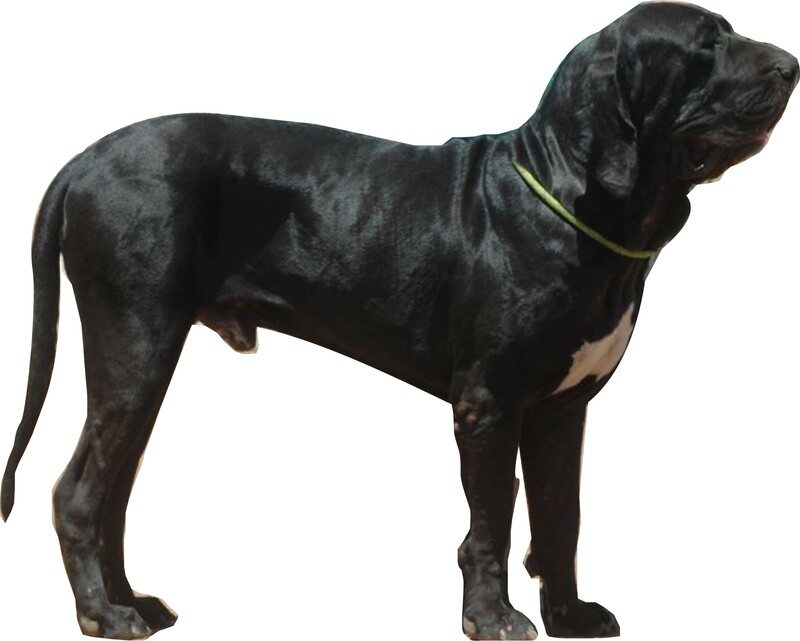 He will undoubtedly require many decades of hard work, since, in practice, after more than 40 years many breeders and members of BKC and then CBKC, both associated with FCI, for over four decades trying unsuccessfully this selection. Why do I say this? Because after four decades these alleged Fila breeders arrived only to completely heterogeneous phenotypes, such as those found in some photos below that were recently taken from Facebooks posted by Fila and “fila” breeders. However, beware and be too careful! Please let this gentleman full of good intentions who believes in this selection that in the Great Dane black color dogs, there is also the genes of harlequin dogs… (see in http://www.filabrasileirochicopeltier.com.br/fotos/1823.jpg ) and as fart I am concern this color is still not accepted in Standard # 255 of the CBKC-FCI-Fila. 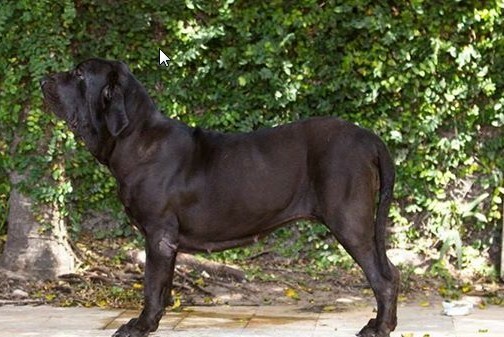 Regarding CAFIB, I can assure you that these black dogs will always fail in our CAFIB Analyzes of Phenotype and Temperament (to understand how it works our AFT you can read in English clicking in http://www.filabrasileirochicopeltier.com.br/fila-brasileiro-filas.html ), not only by color but also by various technical aspects that are not supported by CAFIB Standard. That is, these dogs will never be part of the CAFIB Fila squad. But as we know, each one breeds what they want and believe what they want … After all, as Italian Luigi Pirandello said: “It Is So, If You Think So”. As for Uncle Chico, I’m just giving you my opinion, since you asked me. View photos of black dogs below. Big hug. Note: if you wish to receive more photos from Uncle Chico about the so-called “black-fila”, just let me know by email. 219. Tio Chico recentemente li num post de Facebook a opinião de uma pessoa que defendia a seleção do chamado “fila-preto” e, ainda, que afirmava que a existência desta cor estaria “…registrada em fotos e documentos desde o início da formação da Raça Fila”. O que voce acha desta afirmação? Entretanto, primeiramente, pediria que voce entrasse em contato com o autor deste post e pedisse a ele que disponibilizasse neste mesmo Facebook estas “fotos e documentos” sobre o “fila preto” que ele diz conhecerou possuir. Sinceramente acho um desperdício este senhor guardar apenas para ele tão interessante documentação… Por que ele não divulga e torna púbica estas raras “preciosidades”históricas ? Tenho certeza que, se ele for uma pessoa séria,atenderá este seu pedido. Afinal, em 40 anos dedicados à Raça Fila, eu jamais vi uma só “foto ou documento” que comprovem a existência de cães de cor preta na Raça Fila. 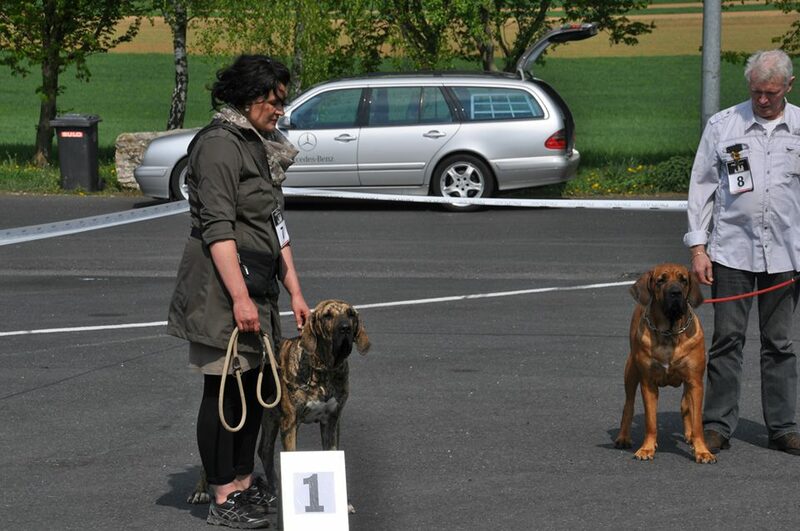 Até hoje somente vi uma foto usada por Procópio do Vale, também conhecido como sendo o Pai do Fila Preto, por ser o “inventor” de cães desta coloração com pedigree de “fila” emitidos pelo então BKC-FCI. 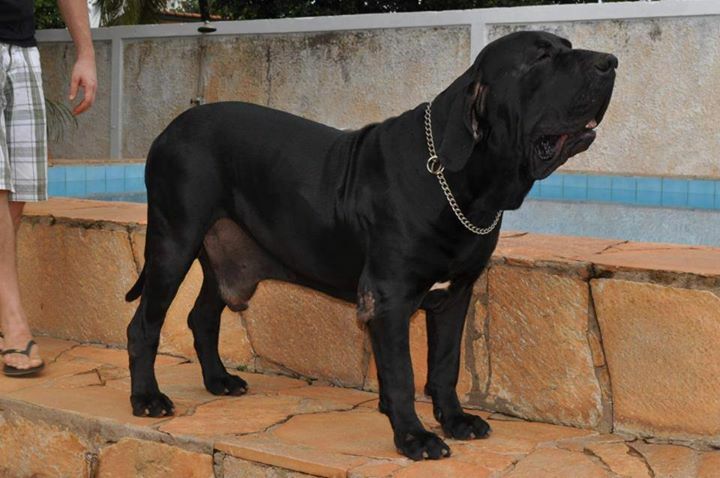 Esta foto era de um cão chamado Zulu. Entretanto o meu querido Procópio do Vale se esqueceu de ler o que se encontrava no verso desta foto… Se tivesse lido, saberia que estava escrito: “mestiço de diversas raças”. E quem escreveu esta afirmação ? Ninguém menos do que o proprietário do próprio Zulu !!! Isto mesmo: esta observação foi escrita de próprio punho por ninguém menos do que o famoso criador de Filas chamado Willian Frederick Chalmers, fundador e proprietário do famoso canil Jaguara, de Minas Gerais. Voce deseja ver esta foto? 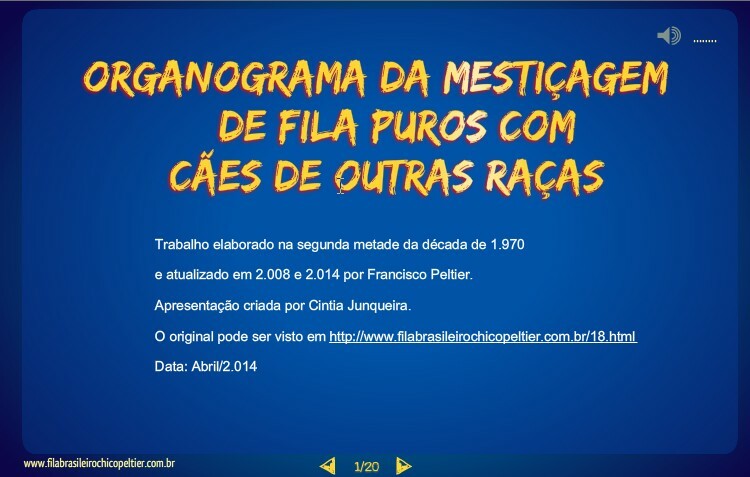 Basta clicar em http://www.filabrasileirochicopeltier.com.br/fila-brasileiro/filastresstestpage03.jpg para ver este mestição !!! Até hoje nunca vi nenhum documento comprovando a existência do tal do “fila-preto”. Mas informo que li na Revista Animais e Veterinária nº 35 (http://www.filabrasileirochicopeltier.com.br/8-Documentos-de-1978/8_32/doc_1.jpg) um texto que foi encaminhado a esta revista também pelo Procópio do Vale, o Pai do Fila Preto. Nesta revista não foi publicado o texto original (foto copiado) ou informações sobre sua procedência. Foi publicado apenas um texto datilografado. Logo, não tenho como atestar a autenticidade deste texto, o qual pedi diversas vezes cópia do original ao Procópio do Vale, mas ele nunca me enviou. Mas, curiosamente, assim como a foto acima, as informações defendidas pelo Procópio do Vale não se sustentam, já que numa tal “Carta dos Holandeses”, se é que existiu conforme afirmado pelo Procópio, jamais foi apresentada publicamente, encontrar-se-ia apenas escrito: “300 cães ingleses serão para ai enviados”. O fato comprovado é que no Sul do Estado de Minas Gerais, que foi o local berço da origem do Fila Brasileiro, não há conhecimento de nenhum “fila-preto”, conforme pode se aprender no excepcional livro escrito pelo jornalista Paulo Godinho intitulado “Fila Brasileiro: um presente das estrelas” (HTTP://blogdopaulogodinho.blogspot.com) patrocinado pelo próprio CBKC. Ao contrário, os precursores na criação do Fila nesta região negam a existência desta cor, assim como a UNIFILA (vide em https://filabrasileirochicopeltierblog.wordpress.com/2012/08/30/post-36-tio-chico-informa-no-17-unifila-e-o-fila-preto-enviado-300812/ ), sério clube de criadores de Fila baseado em Minas Gerais. Sendo assim, sugiro que voce peça encarecidamente a este senhor para, além de disponibilizar para todos nós neste mesmo Facebook as fotos e documentos que comprovariam a existência da cor preta desde o início da formação da Raça Fila, que ele se empenhe muito e se dedique ainda mais a selecionar cães de cor preta que possuam o pedigree de Fila do CBKC-FCI. Ele vai sem duvida precisar de muitas décadas de árduo trabalho, já que, na prática, decorridos mais de 40 anos muitos criadores e sócios do BKC e, depois o CBKC, ambos associados à FCI, há mais de quatro décadas tentam sem sucesso esta empreitada. Por que afirmo isto? Ora, porque depois de quatro décadas estes pretensos criadores de Fila Brasileiro chegaram apenas aos fenótipos completamente heterogêneos, como os encontrados nas fotos um pouco mais abaixo, que foram retiradas recentemente de Facebooks postadas por criadores de Filas e de “filas”. 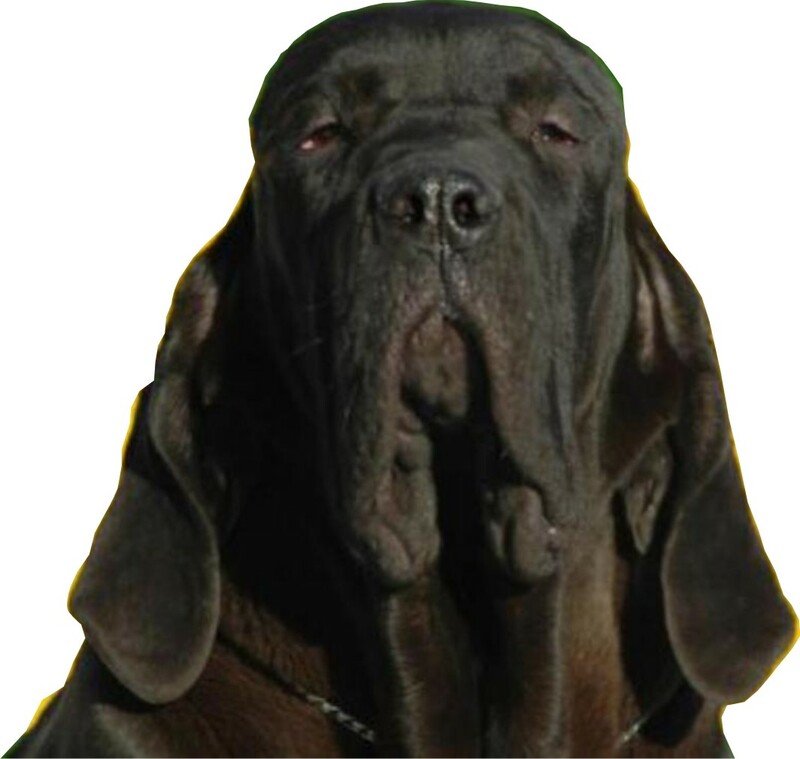 Quanto ao CAFIB, posso te assegurar que estes cães serão sempre reprovados em nossas Análises de Fenótipo e Temperamento (http://www.filabrasileirochicopeltier.com.br/fila_brasileiro-cachorro.html ), não só pela cor como também por diversos aspectos técnicos que não são aceitos no Padrão do Fila-CAFIB.Ou seja, estes cães jamais farão parte do plantel de Filas do CAFIB. Mas, como sabemos, cada um cria o que quer e acredita naquilo que deseja… Afinal, como dizia Pirandello: “Assim é, se lhe parece…”. Quanto ao Tio Chico, estou dando para voce apenas minha opinião, já que voce me pediu. Veja as fotos de cachorros pretos abaixo. Forte abraço. 218. Tio Chico, eu soube que o juiz do CAFIB Jonas Tadeu Iacovantuono e o Canil Itanhandu estão fazendo um trabalho muito bem feito demonstrando visualmente pela internet como se dá a “Desqualificação por Miscigenação” na Raça Fila. O que voce poderia me adiantar sobre isto? 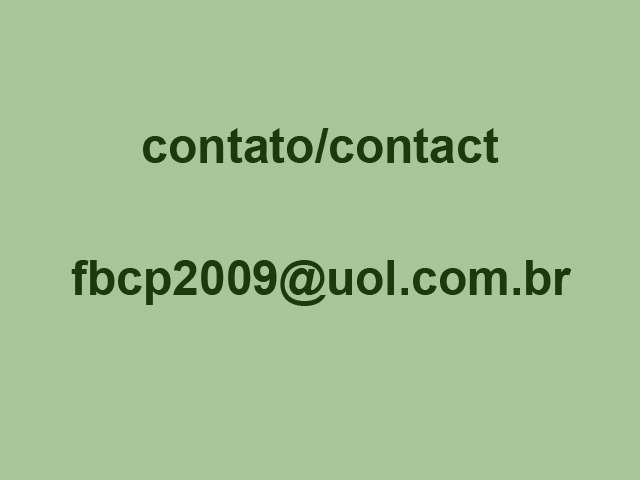 Explico: este trabalho que voce pode estudar clicando em http://www.cao-filabrasileiro.com/#!__fila-brasileiro-desq foi concluído e apresentado a todos os fileiros em Outubro de 2.011. Eu já divulguei este site muitas vezes e o link para este trabalho encontra-se no meu blog. Veja a foto abaixo. Basta voce ir no link acima e clicar nos retângulos vermelhos. Desejo muito que voce estude e aprenda com este link.